Hollywood Cemetery in Richmond Virginia is really an outdoor museum. 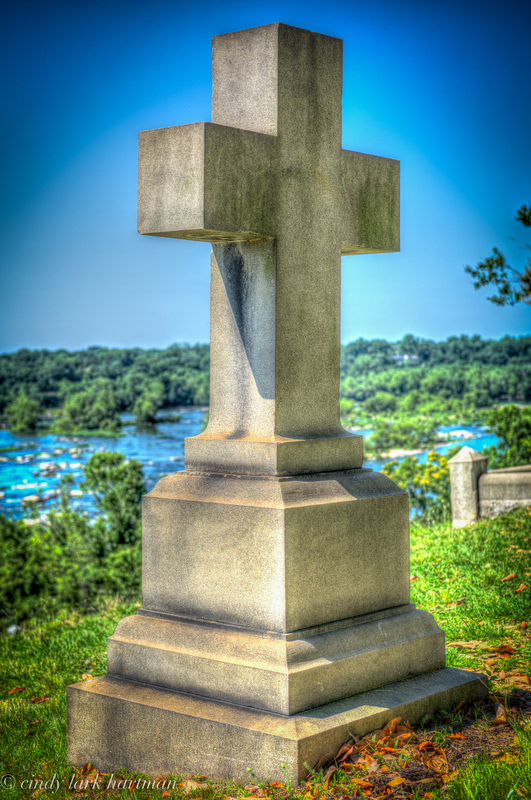 The 135 acre Cemetery is beautifully landscaped with a lovely view of the James River. Two American presidents (James Monroe and John Tyler) are buried there, along with several Virginia Governors, Confederate generals and thousands of Confederate Soldiers. A lovely place to roam to soak up a little history and the beautiful surroundings. As you drive through the gate — the attendant gives you a brief history, a map of the cemetery, for a $1 — and assures you “don’t worry about stepping on a grave… it’s Virginia, you can’t help it”. It was hot, hot, hot — but I can’t wait to go back 🙂 — lots to explore! Visit, Hollywood Cemetery. ← The Birds The Birds!